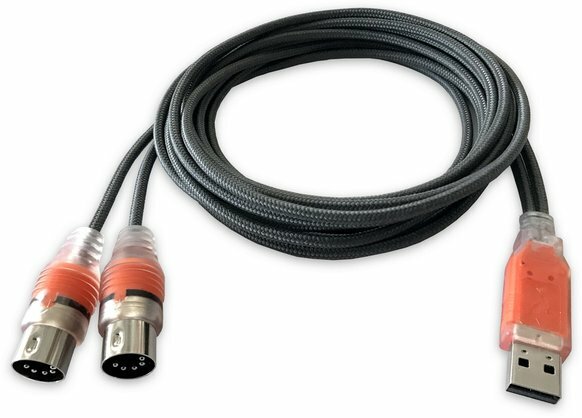 MIDIMATE eX is a convenient USB 2.0 MIDI interface cable with up to 32 input or 32 output channels for PC and Macintosh systems. With MIDIMATE eX you can obtain perfect MIDI timing and performance at an extremely affordable price. MIDIMATE eX is a simple, stylish and very powerful adapter cable that connects the USB port of your computer to any MIDI Input or MIDI Output labelled connector on an external MIDI device. Two MIDI connectors are provided by MIDIMATE eX and using them with your applications could not be easier. If you connect the MIDI cable to a MIDI Output of an external device, signals will appear via MIDI input in your software. If you connect it to a MIDI Input, you can send signals to the external device via the MIDI playback function of your software. All these functions are provided with perfect MIDI timing and best performance.